Kicking Up Our Heels at the 12th Annual Jigs & Reels for the Homeless Concert! “Open the Door Slowly” sung by Connie McKenna, a relative of Fr. Horace McKenna’s, opened the 12th Annual Jigs and Reels for the Homeless Concert on Sunday, February 24, 2019. 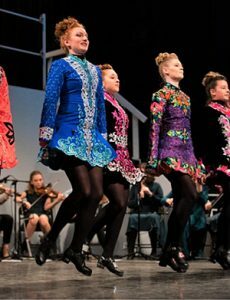 This wonderful tradition that now spans 12 years brings adult and teenaged Irish Music and Dance troupes together to help raise funds for The Father McKenna Center. 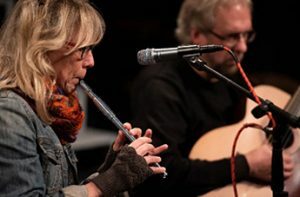 Alice McDermott, a local best-selling author, established the concert in 2007 with Mitch Fanning, who is the leader of The Bog Band, an ensemble of teen fiddlers and other instrumental musicians. Some of the youth have grown up and moved on, but new performers take their seats or fill their shoes! This year’s concert featured Lilt, an instrumental duet of Nina Eck and Keith Carr. Nina plays flute and tin whistle and Keith strums both guitar and banjo. 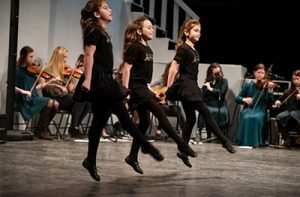 They provided accompaniment for Culkin Live, a troupe of champion dancers and instructors from the Culkin School of Traditional Irish Dance. Everyone commented on how wonderfully the youth performed—and we raised valuable funds needed for The Father McKenna Center!